Human development beyond environmental capacity has been one trigger of smog in Beijing in recent years. In recent years, heavy smog in the vast Beijing- Tianjin-Hebei region, and Beijing in particular, has aroused wide concern from both China and the world. The pollution harms public health, intimidates foreign investment and talent and upsets the capital market. Most importantly, frequent smog presents unprecedented challenges to the sustainability of China’s conventional development mode. Where does the Smog Come from? Smog in the Beijing-Tianjin-Hebei region is composed of particles, nitrogen oxide and sulfur oxide emitted by industry, motor vehicles, agricultural work and construction. 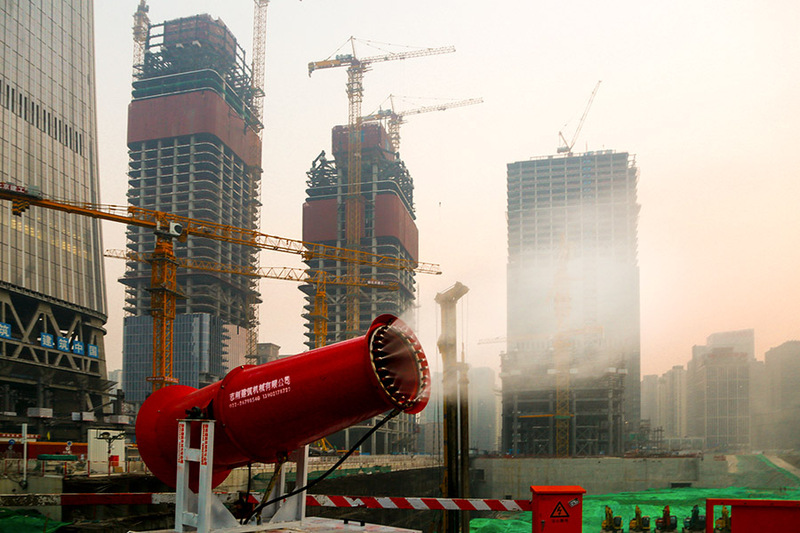 Beijing’s smog, exacerbated by emissions from Tianjin and Hebei Province, is rooted in its own development. Surrounded by mountains on three sides, Beijing is most vulnerable to smog on windless days in autumn and winter. As part of the Coordinated Development for the Beijing-Tianjin-Hebei region, producers and processors of steel and furniture were pushed out of Beijing, which was designated a clean-industry city. According to monitoring and analysis by Tsinghua University, concentration of PM2.5 and PM10 this year was lower than in years past, an improvement that has been credited to strict enforcement of environmental protection standards by inspectors from the central government, regulations related to the annual average concentration in the Beijing-Tianjin-Hebei region outlined in the Air Pollution Prevention and Control Action Plan and increasingly stringent control of emissions from industry and vehicles in the region. However, casual observers have been singing a different tune. Before 2015, the heavy smog in Beijing would envelope the city after two days of incubation. In 2016, however, heavy smog swept the city the day incubation began. 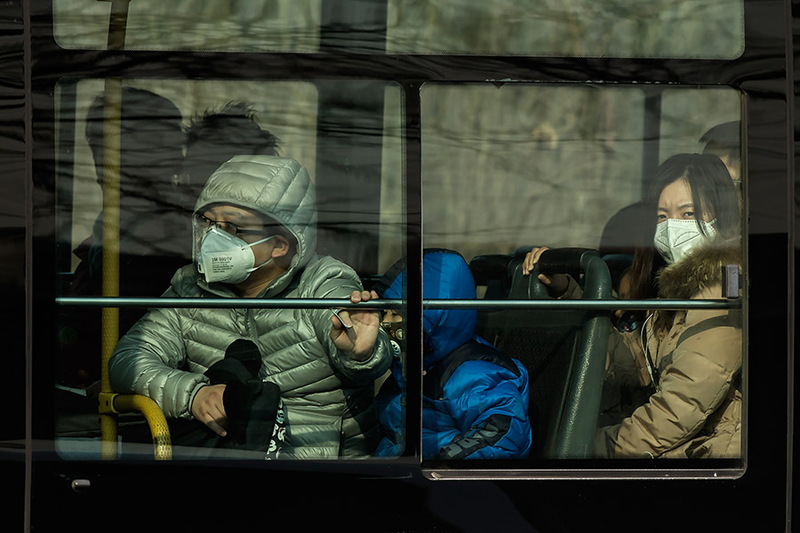 With lower concentration, air pollutants now form more quickly, demonstrating that Beijing’s urban disease has deteriorated in some ways rather than being alleviated. An ecological city respects nature and doesn’t change the local landforms and ecology. The location should be green and only dotted with buildings and roads. In contrast, Beijing’s basin floor, with mountains in three directions, is carpeted with buildings and roads and only dotted by a relative handful of plants. A dense population living in tall buildings, shuttling to numerous companies in other tall buildings, generates tremendous emissions and frequent traffic jams, which in turn increases automobile emissions. Beijing is a city with a dense population but scarce water, so underground water has been over-pumped, decimating the ecology of the region. In conclusion, Beijing’s smog in recent years has mainly been caused by development beyond its environment at capacity. Its development went against the restrictions on landform, natural resources, and environment at protection. To solve Beijing’s smog problem, the top priority should be upgrading city management, which will immediately ease Beijing’s urban ills. The structure of the city must be optimized. The city’s space should be aligned with basic geographic, atmospheric and ecological conditions to foster scientific and sustainable usage of production, living and ecological space. Beijing can also build ecological villages and specialized small towns. Such projects not only improve backward sectors and create new growth drivers for development, but also clean the air and create an ecological defense line. The city should also strive to develop centralized processing of sewage and waste while spreading out industrial emissions. Second, a system limiting the area available for city development should be implemented to prevent the urban areas of cities, districts and counties from swelling beyond the capacity of the ecological environment. At the same time, strict enforcement of environmental violations would create a sound environment for the development of the new growth drivers. Third, Beijing can learn from London’s experience of controlling smog and the development of coastal areas of southeast China. The capital can launch reforms of its energy consumption structure and curtail the overall consumption of natural resources, putting pressure on major comprehensive reform to conserve more resources and become environmentally friendly. In 2016, Beijing’s municipal government ordered towns and villages in the plains areas to replace coal with electricity and natural gas. As a result, 463 villages have abandoned the use of coal. By 2020, new added water consumption should be limited to 3.1 billion cubic meters. Moreover, the upgrading of traffic infrastructure should continue. Elimination of traffic jams cuts emissions from the roads. During rush hours, Beijing’s public transportation resources are exhausted, and no more space can be created on the ground. We can learn from New York. The American city built express subway lines alongside existing routes to solve its traffic problems. Express trains only stop at important stations, easing traffic jams and curbing emissions on the ground. Meanwhile, to further eliminate emissions from automobiles, economic adjustment can motivate people to choose more ecologically-friendly transportation. Measures to stagger the times people arrive at work and change their routes should also be taken. Lastly, emissions from enterprises should be controlled in a scientific manner. This winter, Shijiazhuang, capital of Hebei Province, implemented the strictest ever smog-control order, according to which some enterprises had to stop production by the end of 2016 regardless of whether their emissions met the criteria. This was a controversial move that upset the capital market. In fact, the city could control the flow of emissions of enterprises by introducing emission licensing and a quantity control system. The yearly and quarterly permitted quantity of emissions would be specified in the license so enterprises can plan production independently. The ecology is a large system, as is the atmosphere. Beijing, Tianjin, and Hebei Province share an atmosphere. Under complicated weather conditions, air pollutants move throughout the region. Any one city in the region, Beijing in particular, cannot clean up smog on its own. 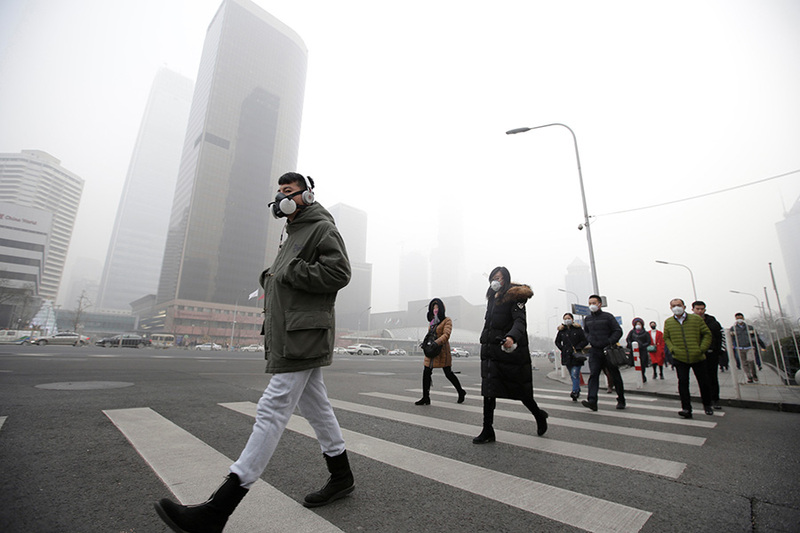 Beijing’s smog should be addressed via coordinated efforts across the whole region. Common but different responsibility is a basic principle of international approaches to climate change, which also serve as references for the joint prevention and treatment of smog in this region. Coordinated interregional prevention and control efforts call for common but different responsibilities in terms of preventing and controlling air pollution emanating from a variety of areas and sectors. Regionally different responsibilities are organized according to different levels of development, different industries and different sectors. For instance, emissions from mining and manufacturing far exceed those of agriculture, and emissions from transportation related to tertiary industry result in much greater harm to the environment than those of agriculture. Therefore, industry, agriculture and tertiary industry should have different responsibilities in terms of reducing air pollution within common coordinated interregional prevention and control efforts. Enterprises in the same sector have different responsibilities according to the different degrees of damage they do to the environment. High-energy consuming enterprises such as thermal power plants, foundries and cement factories, which emit a great amount of fine particulate matter, sulfur oxides, and nitric oxides, have big responsibilities to reduce emission. From the broader view of regions and industries, local governments of regions with greater emissions should take greater responsibilities, as should departments that oversee industries with greater emissions. In the case of the Beijing-Tianjin-Hebei region, Beijing should take greater responsibilities on transportation emission control, while Hebei should take greater responsibilities to curb industrial emissions. Smog is not a problem unique to China. Every country that has developed rapidly has experienced it. Parts of Britain and the U.S. endured smog for over ten years during the height of the countries’ economic transformations. In recent years, smog has also gripped countries with high-speed growth such as India and Vietnam. In November of last year, India’s New Delhi suffered the heaviest smog of the decade. In general, concerned departments should keep in mind that in the near future, overall pollution will remain high, and characteristics of multiple types of pollutants will become even more obvious. Environmental conditions may become even more complicated. Over the next ten years, China’s emissions will reach a turning point, but they will peak before decreasing. Analysts predict that the turning point will take place sometime between 2022 and 2025. At present, however, the annual concentration of PM2.5 in the Beijing-Tianjin-Hebei region has decreased to some extent since control measures have been adopted, but still measures about ten times that of developed countries. In the next five to ten years, China will witness a remarkable collision between environmental protection and economic development, and environmental quality standards will improve during this period. 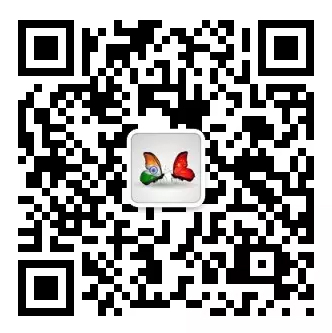 Moreover, since China’s economy faces pressure from an economic slowdown, the combined difficulties will be unprecedented. Meanwhile, policymakers addressing smog need a sense of urgency as well as patience. Environmental problems should be solved scientifically, appropriately, and in stages. Measures for the prevention and control of smog should be coordinated with economic and societal development and combined with ecological improvement measures. 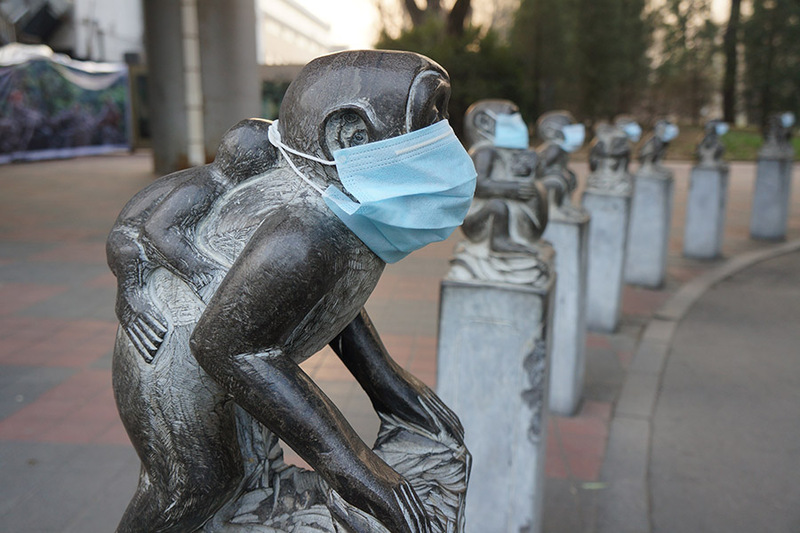 As a whole, China is emerging from the pollution trap of its development trajectory. Some modernized areas have already achieved a healthy and sustainable circle of development and environmental protection. However, in many places in central and western China, the model of treating while polluting and restoring after destroying may continue to endure for some time. If the country sticks to both temporary and permanent measures, environmental deterioration could be stopped by 2020. By 2030, the manufacturing powerhouse of China could enjoy the harmony of economic development and environmental protection. Smog control must follow the basic rules of economic development and environmental protection. Inertia as well as ill-advised rushes to action should both be avoided. The author is a deputy director of Research Institute of Resources and Environment Policies of Development Research Center of the State Council and a professor at the Institute of Law of Chinese Academy of Social Sciences. Chang Jiezhong, student in the department of sociology of Purdue University, contributed to this article.